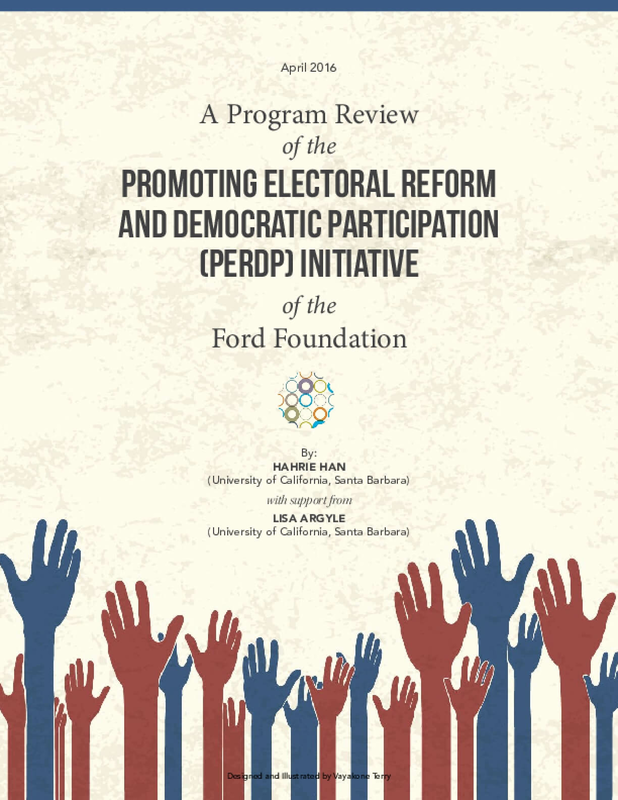 As part of its strategic redesign process in 2015, the Ford Foundation sought a systematic review of its Promoting Electoral Reform and Democratic Participation (PERDP) initiative in the United States. The overarching goal of the review was to understand the extent to which a clear theory of change existed in PERDP's work, and whether that theory of change matched broader understandings of what worked in strengthening civic engagement and democracy. Our goal was not to assess particular grants or funding choices. Instead we sought to synthesize learning about strategies for increasing civic participation and improving the functioning of American democracy by looking broadly at both scholarly research and the experiences of PERDP.